DB Sports Tours are happy to announce an array of exciting tours throughout the upcoming October Mid-Term break. 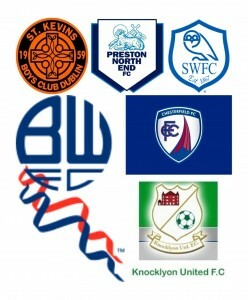 Throughout the break there will be a host of eye watering ties, showcasing many high quality youth sides, including the likes of Bolton Wanderers, Sheffield Wednesday, and Irish clubs such as St. Kevin’s Boys a Drogheda School Boy select side. Of the five clashes over the mid-term break each games hopes to provide the players with a chance to compete at an elite level, while fans will get to view the best on show for youth football around. Two sides from the illustrious St. Kevin’s Boys will play over the break; the under-17’s side, who won a memorable treble last season will take on English side Chesterfield, while their under-15’s outfit, who compete in the DDSL Premier Division, will test their might against both Bolton Wanderers and Sheffield Wednesday. Meanwhile Knocklyon will see their under-16’s DDSL Premier team come up against Preston North End in a highly anticipated encounter. Preston, a club renowned in recent years for its fine academy development, knows they will have a real challenge against the South Dublin side. One of the standout ties over the mid-term break showcases a Drogheda School Boy select side play two games; Manchester Youth Champions Tameside Boys and WoodhousePark. Finally ClonmelTown will clash with WoodhousePark.